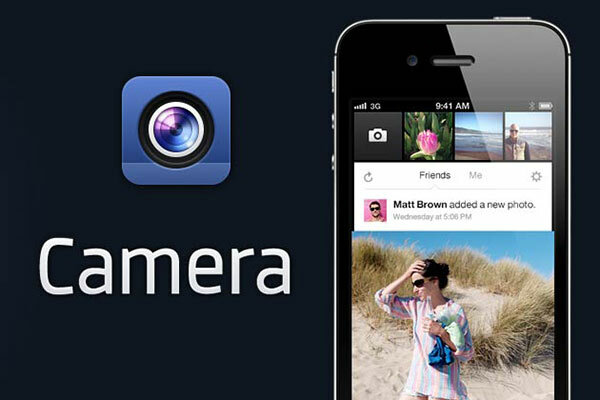 Facebook Camera is the new iPhone app launched by Facebook for sharing photos. For many of us had grabbed the surprise that Facebook is recently launched an application for sharing photos in the style of Instagram called Facebook Camera. Sources said that Facebook Team was already working on this application for some time and that after the purchase of Instagram application, engineers that only helped to improve it. With the new Facebook Camera app, you can share photos on Facebook faster than ever, and see all your friends’ latest shots in one place. What I find interesting on Facebook is like betting on getting applications independent of their official Facebook application, Facebook is we all encompassing but also Facebook Messenger that only serves to write from our friends in Facebook and now Camera which will only serve to take and share photos with our friends in Facebook without having anything to do with your main application. Well, here are some important features of the Facebook Camera app, that we will be able to edit our photos like Crop, rotate and add filters on the spot, add effects, post photos directly from the application or the photo gallery includes some Instagram filters, we will be able to tag our friends from Facebook , add a location and to comment on the photos to see our friends. Facebook Camera for iPhone is available for download only in the U.S. AppStore (for now) and we will be expected to go worldwide. Facebook camera for android is still not available, I hope they will make it available very soon for android users.